Magic players! Like the Modern format? 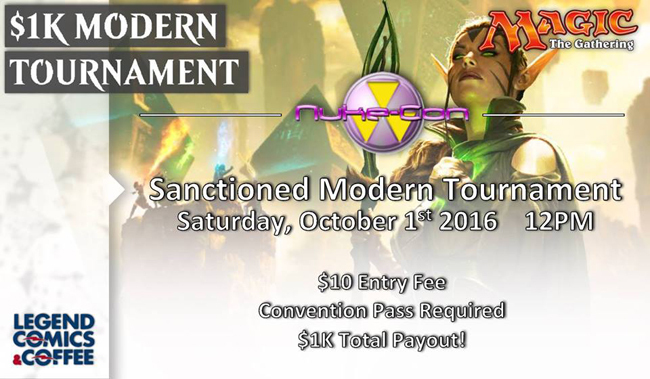 Legend Comics & Coffee is hosting a $1K Modern Tournament on Saturday, October 1st, 2016 at Nuke-Con! $10 to play in the tournament once you have your convention badge. There is still time to purchase a convention badge at pre-registration price over at the Fallout Shelter. With $1,000 to divvy out, don’t miss out! Nuke-Con’s Weekend of Games is happening Sept 30 – Oct 2, 2016.